Please note we are FULLY BOOKED. For safety and security reasons, NO walk ins will be accommodated. 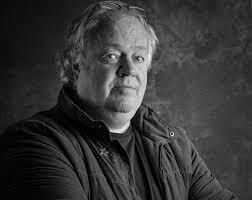 Jacques Pauw is an investigative journalist and author of the best-seller, The President’s Keepers: Those who keep Zuma in power and out of prison. The book, published in October 2017, has been widely hailed as the most important book published in postapartheid South Africa. Named by Nelson Mandela as one of South Africa’s greatest journalists, he has worked as a reporter, television documentary producer, commentator and columnist for more than 30 years and has received a host of national and international awards. He was in 1988 a co-founder and the assistant-editor of the Afrikaans anti-apartheid newspaper Vrye Weekblad (Free Weekly). The newspaper became one of the most persecuted and prosecuted newspapers in South African history. Jacques exposed the existence of police death squads in November 1989. He left the newspaper in 1993. He has also worked as the head of investigations for The Star and Sunday Star before co-founding the Truth Commission Special Report for the SABC in 1996. In 1998, Jacques was a co-founder of Special Assignment, the premier current affairs show of the SABC. He became the Executive Producer of the programme in 1999. Special Assignment was an award winning and highly respected current affairs programme. During Jacques’s stint at the programme, he produced a host of current affairs documentaries throughout the African continent. Amongst them were exposés on drug smuggling, the international trafficking of women and children, child labour, child soldiers and blood diamonds. He has also produced documentaries on the genocide in Rwanda, the war between Ethiopia and Eritrea and civil conflicts in Sierra Leone, Sudan, Burundi, Zaire (today DRC), Algeria, Liberia, Rwanda and Angola. Jacques resigned in protest from Special Assignment in September 2007 after a series of political appointments at the national broadcaster. He was the Director of the Justice Project in the Department of Journalism at Wits University in 2009 before becoming the head of investigations at Media24 newspapers, the biggest newspaper group in South Africa. He specialized in in-depth reporting on state corruption, the police and the intelligence services. He left Media24 at the end of 2014 to pursue freelance writing. Journalist of the Year and the Nat Nakasa award for integrity and bravery in journalism. He was also twice the overall winner of CNN’s African Journalist of the Year Award. He is the author of Six books, five of non-fiction and one of fiction. He has been shortlisted for three major literary awards.